The euro got under selling pressure and stayed almost at the current local lows. The reason for the cuttent disappointment can be the November final purchasing managers’ index (PMI) for the eurozone service sector supply and the bloc leading countries. The retail sales data can support a little the euro. The release is expected with an increase in October by 0.5% m/m and up 1.6% y/y vs. -1.3% m/m, 0.6% y/y. The EUR/USD failed to consolidate above the resistance around 1.2425-1.2445 and returned to the support 1.2350-1.2370. After passing this level the euro continued its decrease and fell to 1.2310. 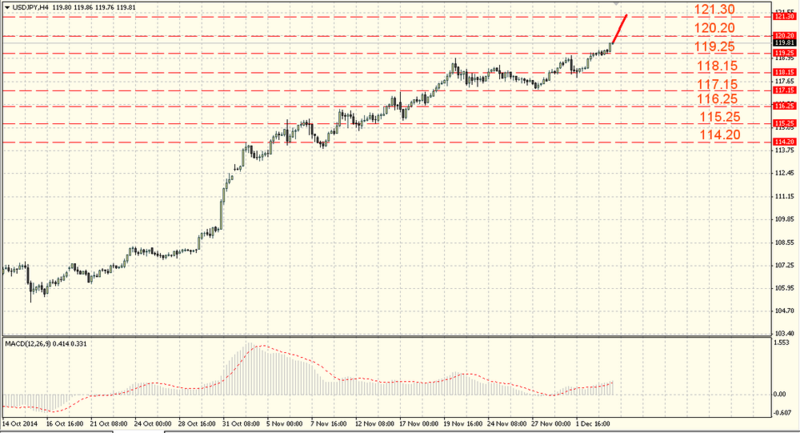 The support levels are 1.2250-1.2270, and the resistance levels are 1.2350-1.2370. The level of 1.2250-1.2270 breakthrough will lead to a decrease down to the support around 1.2180-1.2200 where the bulls’ activation is possible. The pair needs to return above the levels of 1.2425-1.2445 for the upward correction. The sterling slightly increased at the yesterday’s trades. Earlier the British pound was sold. The pound was left without support amid the strong construction sector slowdown. We expect another activity indicator release, the service sector indicator which is dominant in the UK – the service sector purchasing managers index (PMI) can note decrease to 51.6 from 56.2 in November. The pound/dollar continues its recovery. 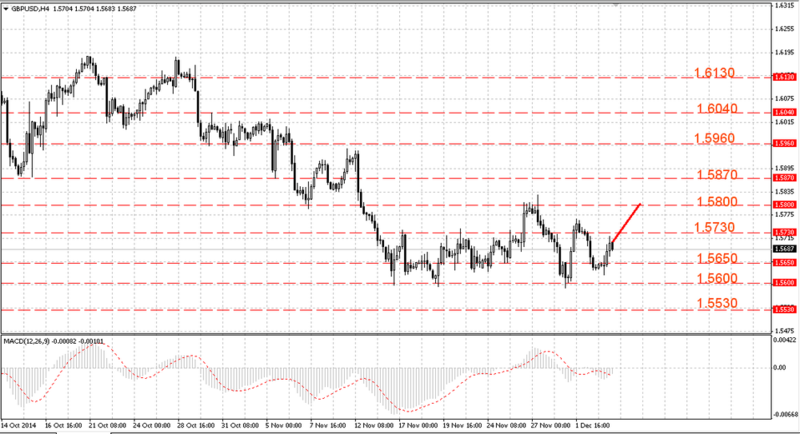 Earlier the bears easily overcame the support around 1.5710-1.5730 breaking the mark of 1.5630-1.5650. Then the pair increased. The rebounds are limited, reflecting the continued interest for sale. 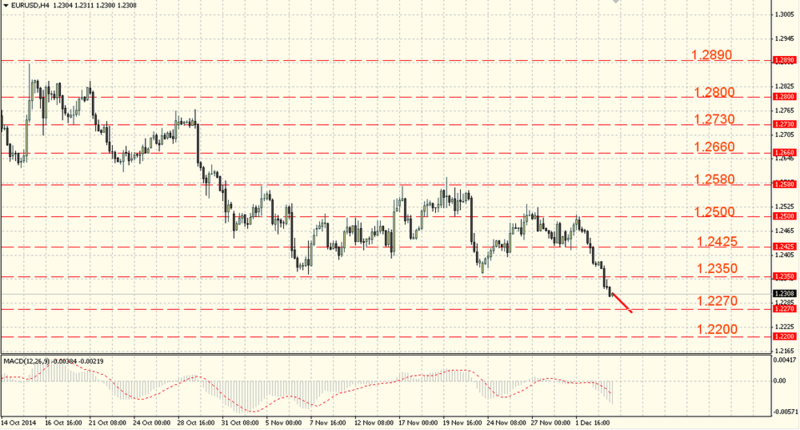 The support levels are 1.5630-1.5650, and the resistance levels are 1.5730 – 1.5750. The pair can fall to the lows at the level of 1.5580-1.5600 in the short term. We should consider its inability to consolidate above 1.5730-1.5750 as the negative factor and the pound needs to overcome the resistance near 1.5800-1.5820 for its improvement. The Japanese yen resumed its decline and was noted at the new local low against the US dollar. The US and Japan stock markets and the US “Treasuries” bond yields growth supported the pair. The service sector business activity index increased in November and rose up above 50.0, showing 50.6 after 48.7 in November as expected decrease to 48.5. The negative sentiment towards the Japanese yen is still preserved. Against this background the dollar with the Japanese yen continued to grow, breaking through the resistance level of 119.25-119.45. However, theoretically bulls might be aimed at the important level of 120.20-120.40. The support levels: 119.05-119.25, and the resistance levels: 120.20-120.40. The pair inability to consolidate above the 119th figure will call into question its ability to achieve the target level of 121.30. Bears need to overcome support near 117.95-118.00 for the larger downward correction development.